There many be an Apple Watch Series 4 out there, but the Apple Watch Series 3 is still pretty awesome. It has so many great things to enjoy including GPS, accelerometers, and more and right now the 38mm variety can be yours for just $199. The 38mm Apple Watch Series 3 in Space Gray or Silver Aluminum normally retails for around $280, but Amazon is offering the watch with a black or white Sport Band for just $199, which is a price that is very difficult to say no to. The 42mm on the other hand is down to just $229. The Apple Watch Series 3 was the latest and greatest up until just a few months ago, and that means that it’s still a great option for anyone who doesn’t want to splash the considerable cash for an Apple Watch Series 4. This watch has all the features we’ve come to know and love from the Apple Watch, and with the Series 3 being swim proof you can wear this when exercising in the water without having to worry. If you’re a swimmer, this Apple Watch is perfect for you. 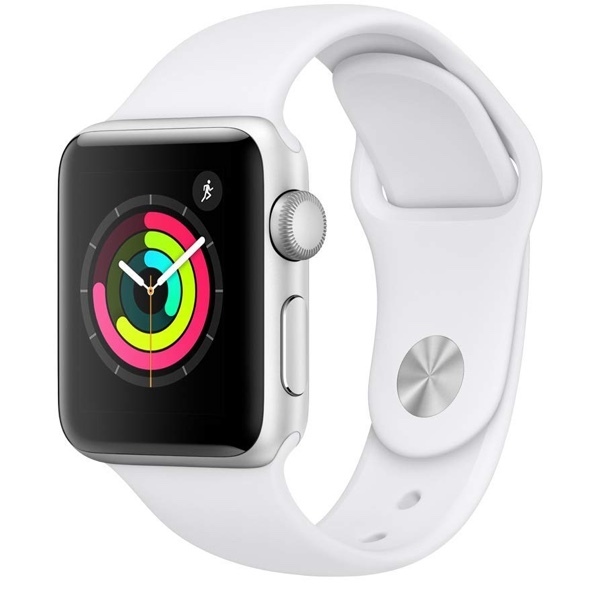 Other features include the optical heart sensor that has already saved so many lives, and a speed S3 dual-core CPU to help make sure that your watchOS apps are as responsive as can be. Speaking of watchOS, the Apple Watch Series 3 supports the latest versions of watchOS, and we would expect that to remain the situation for a couple of years yet. If an Apple Watch is on your wish list, but an Apple Watch Series 4 is out of your price range, this is one deal you’re going to want to snap up.